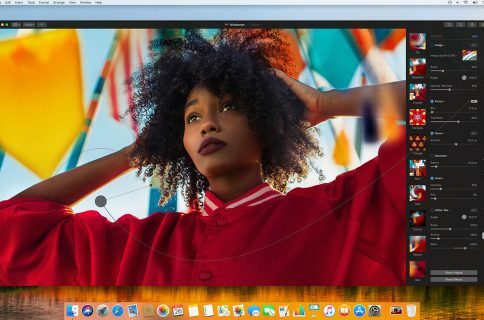 Pixelmator Pro for Mac, a powerful Photoshop alternative, has been updated on Mac App Store this morning with full support for the latest macOS Mojave 10.14 software. 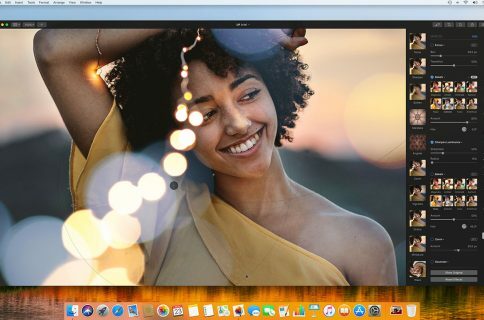 Code-named “Quicksilver,” the app packs in a beautiful new Light appearance augmenting its default darkened interface, plus other perks like machine learning-based automatic photo enhancement, the ability to batch-process your images in Apple’s Automator app, and more. With full support for macOS Mojave, you can now do things like use colorful SVG fonts—check out the Gilbert Color font included with the update—and take advantage of Mojave’s cool Continuity Camera feature which lets you take a photo with your iOS device’s camera and have it instantly appear in the Pixelmator Pro document you’re editing. 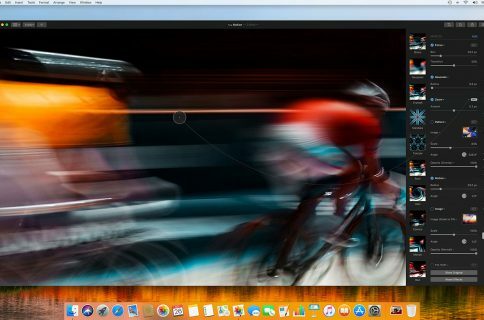 Pixelmator Pro made its debut featuring a dramatically darkened one-window interface similar to many other pro apps. Now that the app includes a new Light appearance as well, it automatically adapts to Mojave’s Light/Dark appearances. 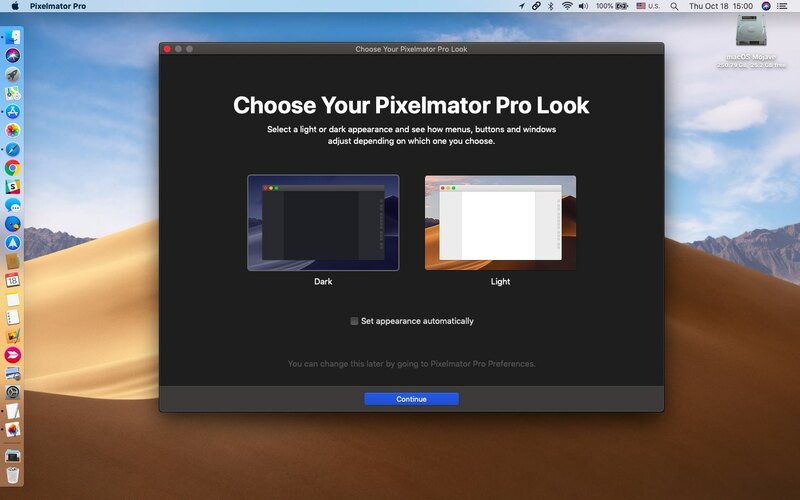 You can change Pixelmator Pro’s appearance any time in its preferences. The interface in this edition of Pixelmator Pro more closely matches the look of macOS in Light/Dark mode. As a bonus, the app now supports Mojave’s Accent Color feature. As a result, changing your accent color in System Preferences → General → Accent Color automatically applies the selected tint color to the app’s buttons and sliders. 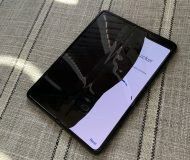 If you’ve ever wanted to adjust the color of the window background in Pixelmator Pro, you can do that as well by venturing into the app’s preferences. ML Enhance, another new feature powered by Apple’s Core ML framework, taps into a machine learning algorithm trained on millions of professional photos to automatically improve the look of your images. Here’s ML Enhance in action. 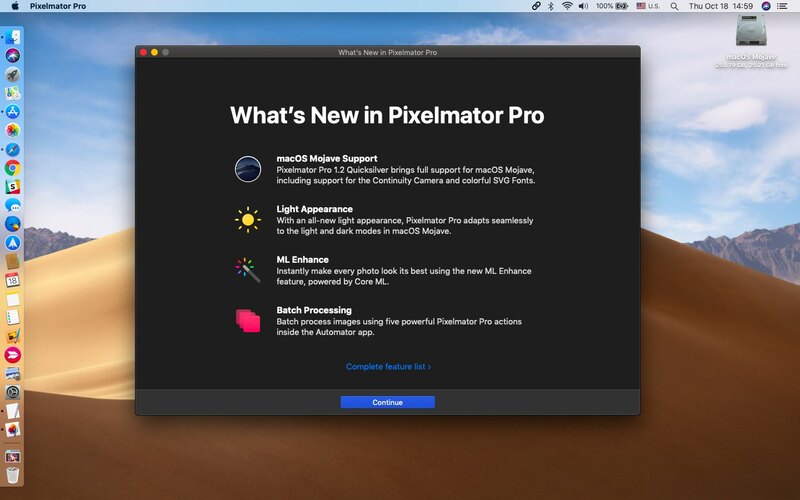 To speed up boring tasks and improve your productivity, Pixelmator Pro actions are now available in Apple’s Automator app. This lets you batch-process a bunch of images at once by applying color adjustments, effects, white balance and more to your photos. A gorgeous new light appearance lets you experience Pixelmator Pro in a whole new way—change appearance any time in Pixelmator Pro preferences. Batch process images using five powerful Pixelmator Pro actions in the Automator app: Apply Color Adjustments to Images, Apply Effects to Images, Auto Enhance Images, Auto White Balance Images and Change Type of Images. Create even richer, more vibrant graphics and designs with colorful SVG fonts—the Gilbert Color font is included with this update. The update is available to existing users at no additional charge. Pixelmator Pro is a $29.99 download from App Store. 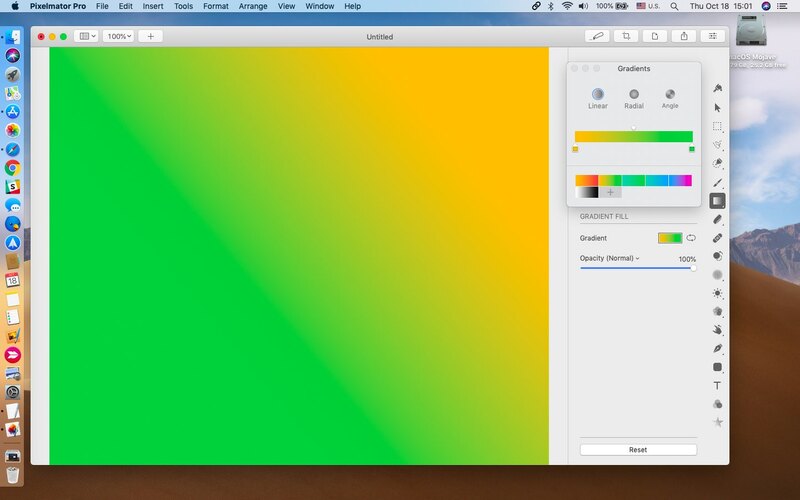 The less-capable version, named just Pixelmator, is a $14.99 download from Mac App Store. Pixelmator for iPhone and iPad is priced at $1.99.